NEW FUNCTION! „Spectrum Genius“ Online Report Printout! 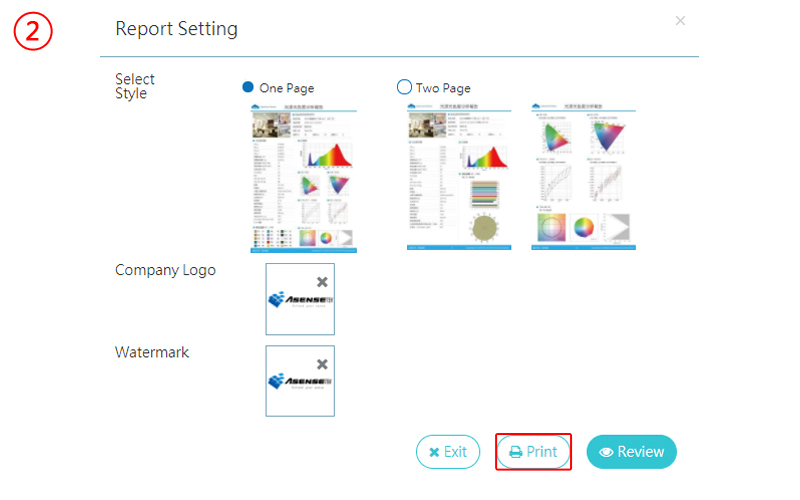 All-new „Online Report Printout“ feature now available to Spectrum Genius Cloud Service users! Simply select a measurement record synced in your Spectrum Genius cloud account, and then click „Export Report“ to print out a professional-grade color measurement report. The new printout function also supports custom company logos and watermarks, allowing you to produce exclusive, highly polished color measurement reports. ※ For maximum quality, please ensure your browser’s zoom level is set to 100% when printing out your online report. How do I print out measurement records stored in Spectrum Genius Mobile? First, ensure that Spectrum Genius Mobile (SGM) and Spectrum Genius Mobile Plus (SGM+) are updated to the latest version. Next, migrate your desired data to SGM+. This will allow you to connect to the Spectrum Genius cloud platform and download your own exclusive color measurement reports!